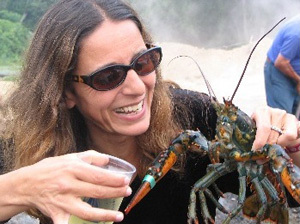 Adina Paytan, a research scientist in the Institute of Marine Sciences at UC Santa Cruz, has been named a fellow of the Association for the Sciences of Limnology and Oceanography (ASLO). ASLO Fellows are recognized as having achieved excellence in their contributions to ASLO and the aquatic sciences. The 2016 ASLO Fellows will be honored at the ASLO Meeting in Honolulu, Hawaii, in February 2017. Paytan is also dedicated to science education and outreach. She devotes time to develop and implement programs that enhance the process of learning science, expose students at all levels to the excitement of doing science, and introduce the relevance of science to real-world problems and current issues.